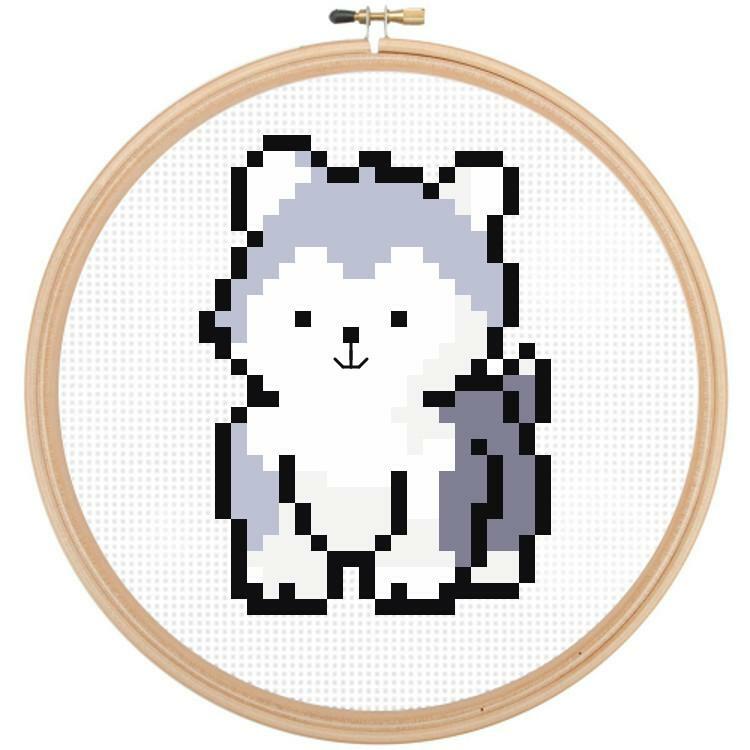 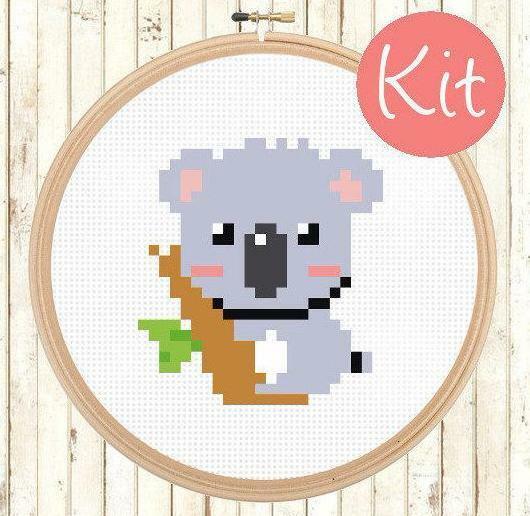 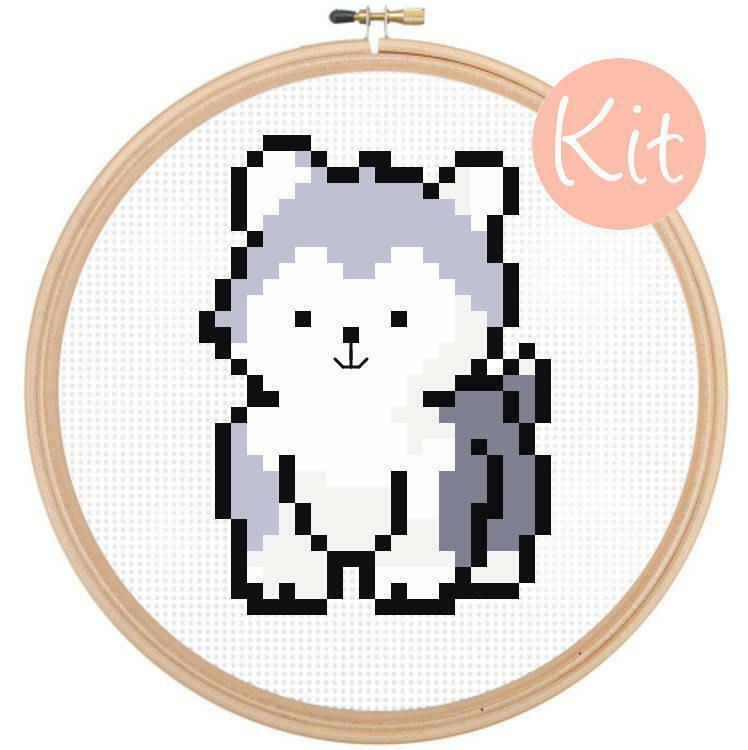 This is a beginner cross stitch kit of a cute husky puppy! This is a very easy cross stitch pattern that is great for people learning how to cross stitch or those who love husky dogs! 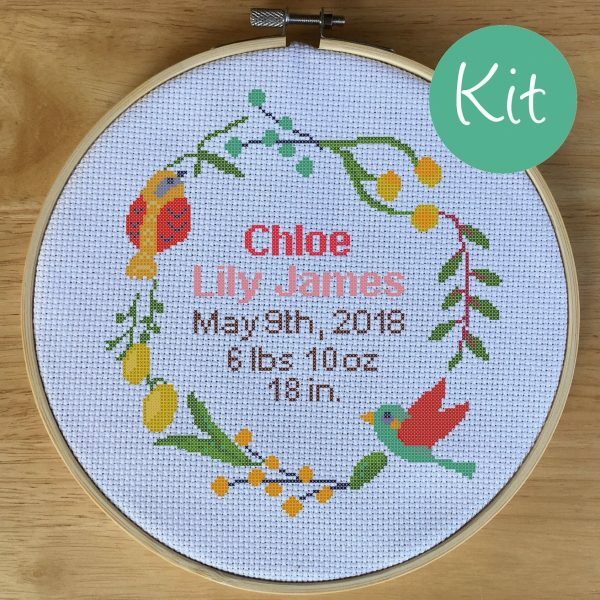 Size: 2.3 x 2.14 in. 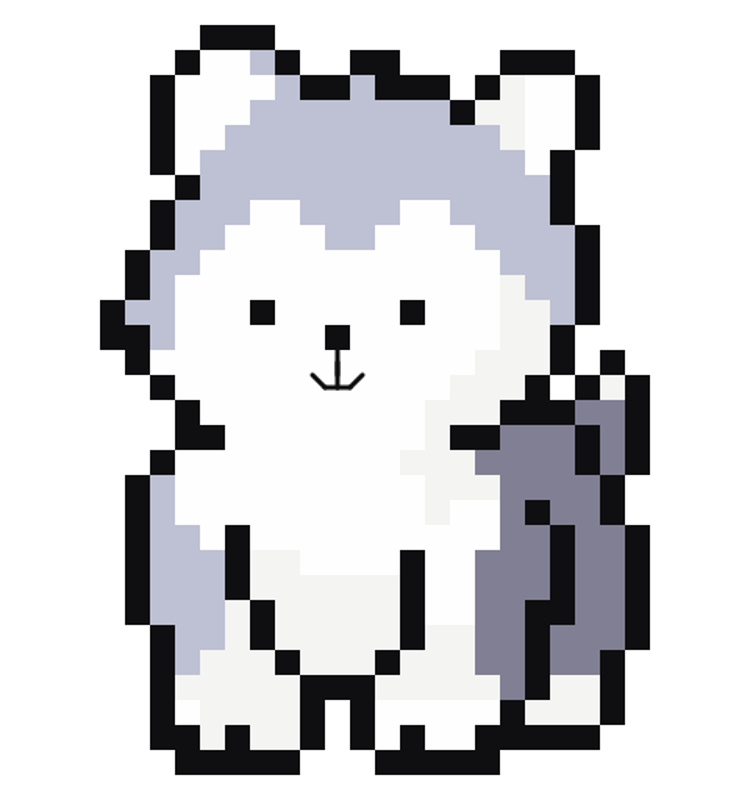 / 5.8 x 5.4 cm. 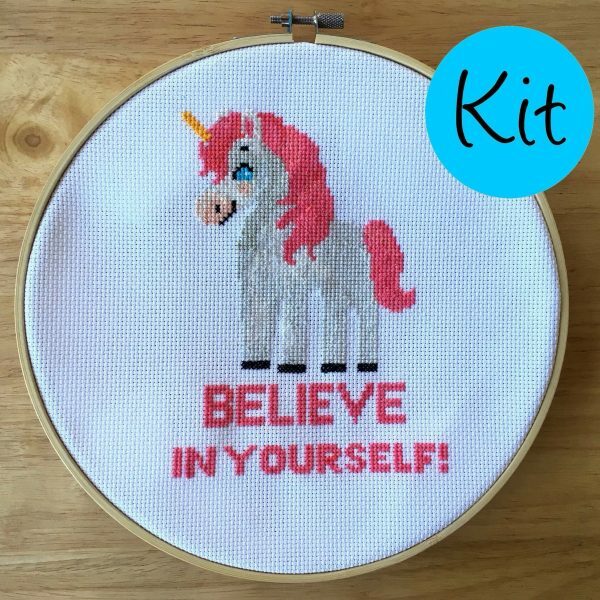 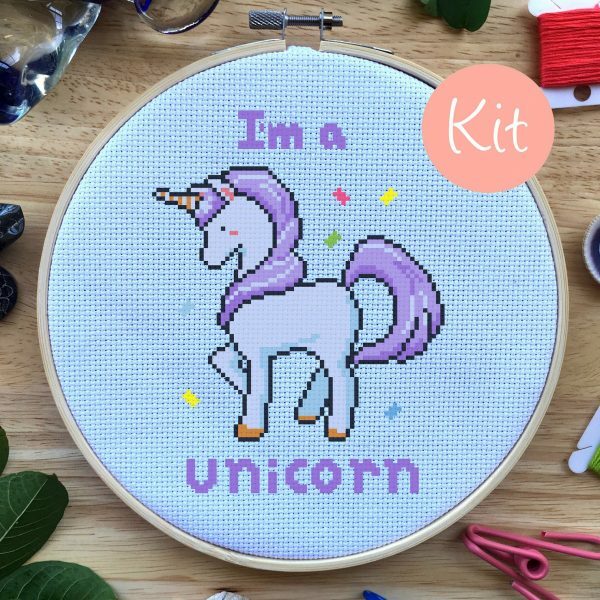 Unicorn Cross Stitch Kit – Geeky Cross Stitch – Believe In Yourself!